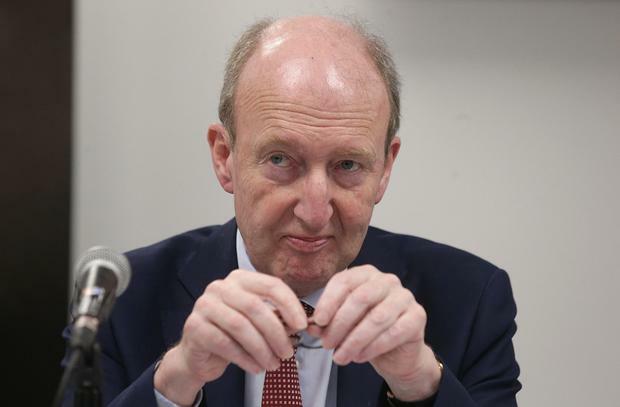 Transport Minister Shane Ross has hit out at the “big hotel price-gouging brigade” after remarks he made about the 50pc Vat hike for the tourism sector were met with a frosty reception at an industry awards night. Mr Ross raised the issue of the Vat increase during a speech at the Irish Tourism Awards on Friday, where airline boss Willie Walsh was being honoured for his contribution to the industry. Representatives of hotels and restaurants were left furious when the hike was announced in last October’s Budget in a bid to raise €466m. Mr Ross praised those present at the event on Friday for using the reduced 9pc Vat rate, introduced during the economic crash, to the benefit of the industry and jobs. In remarks greeted with vocal disapproval by many in the room, he argued the hike was “a vote of confidence in yourselves rather than anything else”. Last night, Mr Ross said his remarks resulted in a “buzz of barracking from the big hotel price-gouging brigade at the dinner”. Ross blames hotel ‘price-gougers’ as Vat remarks heckled at awards – Independent.ie.